Compact Prime CP.2 Lenses. One of the most important aspects of a successful production is the competence and diversity of your team. 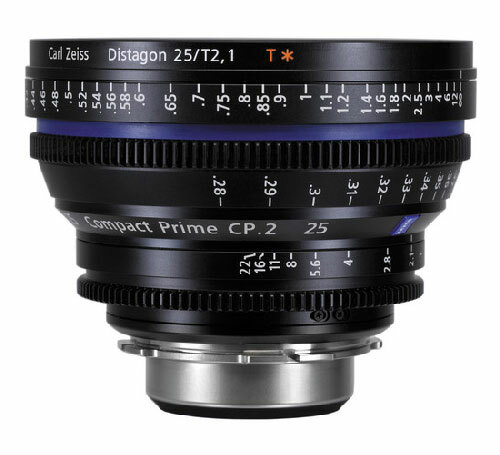 Whether you’re shooting a commercial where exquisite color rendition and high contrast is important, or a tense, dramatic sequence in low light situations for a feature film, Compact Prime lenses offer you the performance you need to get the scene right. With a wide range of focal lengths, full-frame coverage, fantastic image quality, great flare suppression and precise focusing through the large rotation angle, Compact Prime lenses give you a flexible set of tools to make your film shine. With its long history in both photo and cine lenses, ZEISS is dedicated to supporting filmmakers and allowing you to benefit from the highest possible image quality in any situation.